Black Friday and Cyber Monday Cruise Deals Are Here! Cruise News Black Friday and Cyber Monday Cruise Deals Are Here! The holiday season is here and that also means Black Friday and Cyber Monday cruise deals. This is the time when cruise lines offer some of the best ways to save money not just when booking cruises but also incentives for onboard. 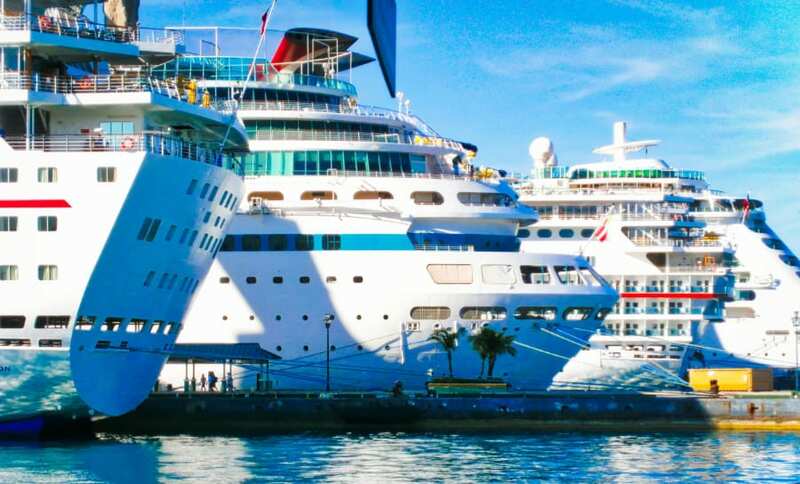 Cruise lines are now offering huge ways to save money with added perks and incentives. This could just be the best time to book a cruise vacation. Some of the largest cruise lines including Carnival Cruise Line, Royal Caribbean, MSC Cruises and Norwegian Cruise Line are all offering Black Friday deals. Right now Carnival is offering free room upgrades on sailings through February 2019. This deal is only available until Sunday, November 25. Keep checking the official site as there will likely be another nice perk for Cyber Monday. From November 22 to November 27 Royal Caribbean is offering 60% off the second guest and it applies to all sailings which are departing on or after December 27, 2018. Cruisers can also take advantage of kids under 12 years old sailing free on select sailings. Cruisers can save up to $300 instant savings, check it all out over on the official site. The cruise line which has just recently welcomed Celebrity Edge to the fleet is offering great savings and perks for the Black Friday and Cyber Monday. From November 1 to November 27 guests can enjoy the choice of a free perk when booking an ocean view stateroom or higher. When booking a suite there is no need to choose a perk as they will all come completely free along with an upgrade to premium beverage packages. There will be savings on Cruisetours available. The cruise line is running their big “The Cyber Event” promotion with savings on cruise bookings and perks. Cruisers can save up to $900 per stateroom on select sailings along with the 3rd and fourth guest fares starting from the low rate of $279. On select sailings and cruisetours everyone in the stateroom can also enjoy three free perks. The perks include free gratuities valued up to $15.50 per day for each guest, free onboard spending money valued at up to $200 for all guests and free room upgrades. Guests cruising on Regal Princess and Caribbean Princess can take advantage of the free Medallion tech on sailings February through July 2019 on 7-day cruises only. Holland America Line is running the “CyberSale” where guests can receive bonus offers to enjoy their cruise vacation even further. The cruise line is offering up to $50 in beverage cards on all sailings. The promotion will end on November 27 which is when Cyber Monday ends. The cruise line is offering up to $600 in Caribbean sailings which includes MSC Meraviglia, MSC Seaside, and MSC Divina. Guests who book a balcony stateroom or above on any three of the MSC ships will enjoy $100 of onboard credit per stateroom. Guests can also take advantage of the cruise line’s “drink on us promotion.” The drink promo includes unlimited drinks with a value of up to $500. The sale from MSC is running from November 21 through November 27 so just a few days remaining for cruisers to make use of the perks. Further details can be found here. Now might just be the best time to book a cruise especially if you’re thinking about a vacation at sea in 2019. In general, many cruise lines will also offer lower fares but the problem is they will go fast. The Holiday deals will end after Cyber Monday and cruisers are going to want to get the deals before the sailings sell out. It is always important to always check the terms and conditions before booking. Cruise Hive readers can also call our partner at Seahub.com where experts can find you a really good deal which isn’t published online. You can them at +1-(866)-290-5741.